HellKat613 wrote: Any pics of phantom foxy? I've only gotten toy bonnie from wave 2 and my boys are really hounding me for the rest. It's basically Foxy with a glossy black and green coloration. Thanks! Another one to add to the hunt. We already had the 16" Freddy. Just missing the 16" Foxy now. Awesome find It's so cute. Yeah i wanna get the big ones but no room! They look better that size. Actually i need to buy the nightmare freddy. 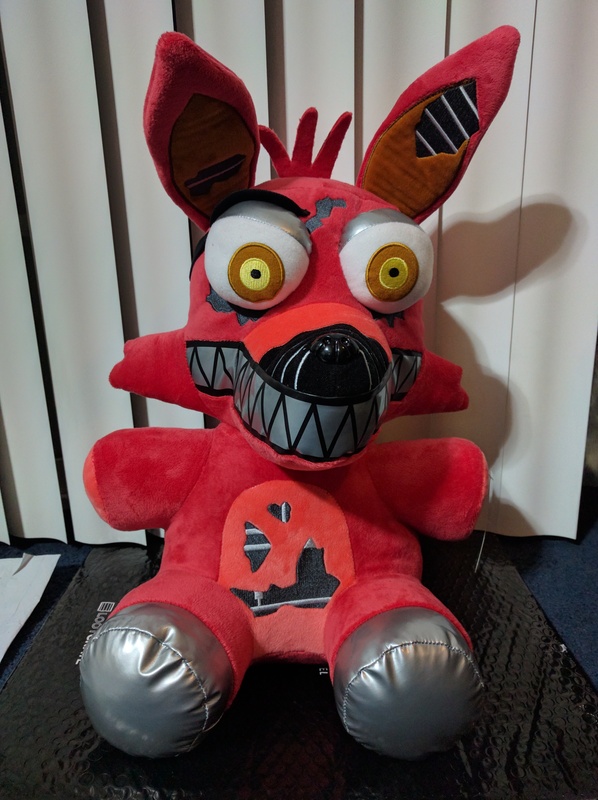 I sucked it up and purchased phantom foxy on ebay. Only missing toy chica. Does anyone have the DCPI for Phantom Foxy? ShyGuyPal wrote: I think this is all of them so far (from the 6" scale waves)? 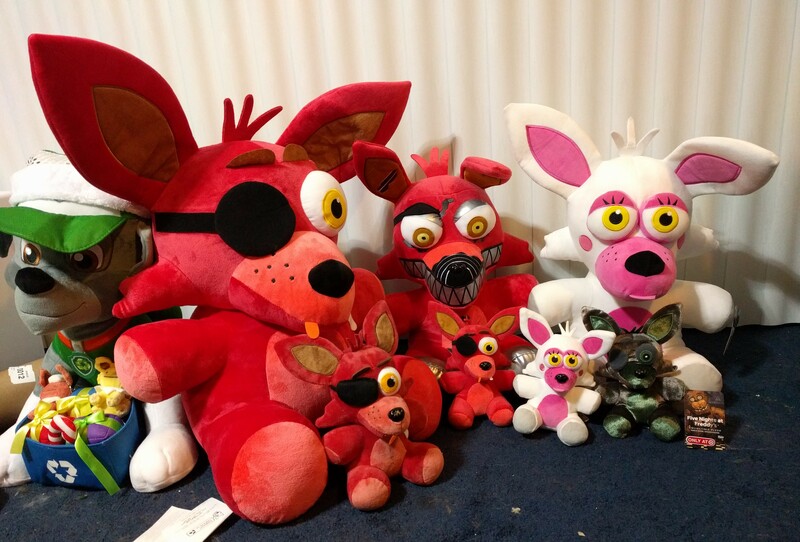 After more research, I think the Wave 1 plush is of Funtime Foxy and Wave 2 is of Mangle. I could be wrong though. 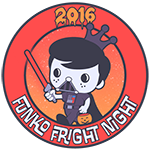 Funko lists the Puppet as Nightmare Puppet (wrong character) so I'm not 100% confident in their naming. The tags don't say what their name is. I have all of Wave 1 and only missing two from Wave 2. 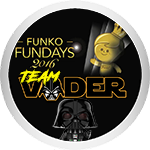 I didn't realize Wave 1 was vaulted already since I didn't see them on the Funko website anymore. That lead me to finishing off the rest of Wave 1 from nearby stores. I think my favorite one is still Shadow or Toy Freddy. And to add to that, which characters do you all want to see in the next wave? I'm hoping for the rest of the Nightmares possibly (at the very least Nightmare Fredbear or Nightmare) and Balloon Boy. I'd also like the Sister Location ones, but that may be too much for one wave. Just happened upon a Nightmare Bonnie exclusive at Toys R Us. groundhog7s wrote: Just happened upon a Nightmare Bonnie exclusive at Toys R Us. Oh, no! Time to go hunting again! Found a Target exclusive 16" Nightmare Foxy today! 6 dollar finder fee is your reward. I also have Walgreens Exclusive Star Wars Pops and Gamestop Cupcake Plush. Took my kids to the Pokémon event at TRU yesterday, and when we were walking around the Funko section, my 10-year old spotted the Nightmare Bonnie exclusive, so we're all complete on this wave. 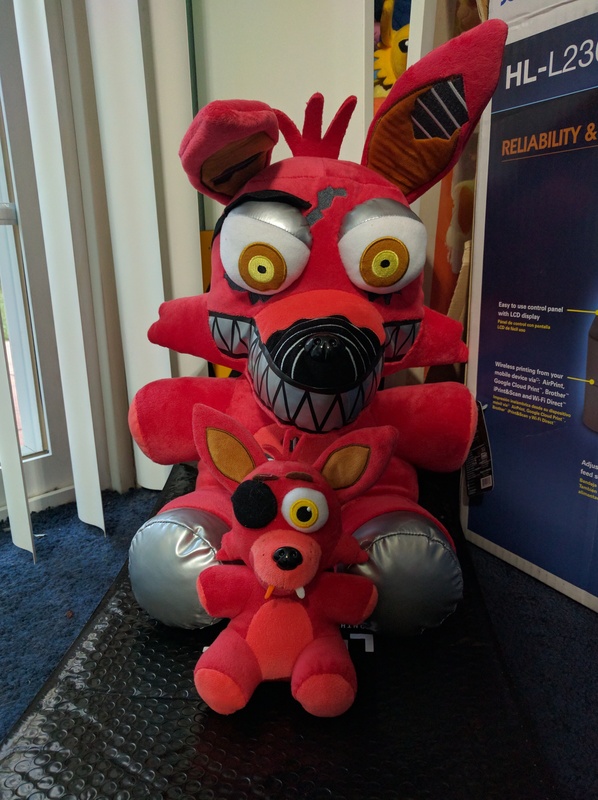 Nice, got Phantom Foxy! Can't believe those prices online though. Target had like four of them with most of the other plushies gone. Nightmare Bonnie, here I come! Niksilp wrote: Found a Target exclusive 16" Nightmare Foxy today! He looks so scary and cool! I'm not a big fan of the material used for his feet, but he still looks amazing. Does anyone have the DPCI for Phantom Foxy? He's listed on the website (link below) with a DPCI of 087-06-5319, but it doesn't register in the system. Still need nightmare cupcake, nightmare Bonnie, and Springtrap. I ordered the 22" freddy as well. I think he's gonna be too big . 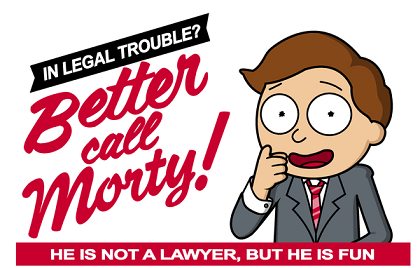 I hope they'll continue adding to this line. I can't get enough of FNAF plushes and pops! I recently picked up the 16" Nightmare Bonnies from FYE! TurtleTheTruth wrote: I recently picked up the 16" Nightmare Bonnies from FYE! That's a pretty sweet collection. For those looking for HT exclusive Toy Bonnie, HT recently restocked. I'm waiting for more! We haven't had new plushes in a while but I know with Funko's Sister Location release, there must be some! TurtleTheTruth wrote: I'm waiting for more! We haven't had new plushes in a while but I know with Funko's Sister Location release, there must be some! 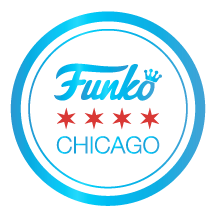 In the edge of one of the toy fair pictures we could see them and they look awesome! I'm going to look at them. Thanks! The newest exclusive Plush is: 22" Nightmare Freddy found at FYE for $50. These have hit the stores recently. 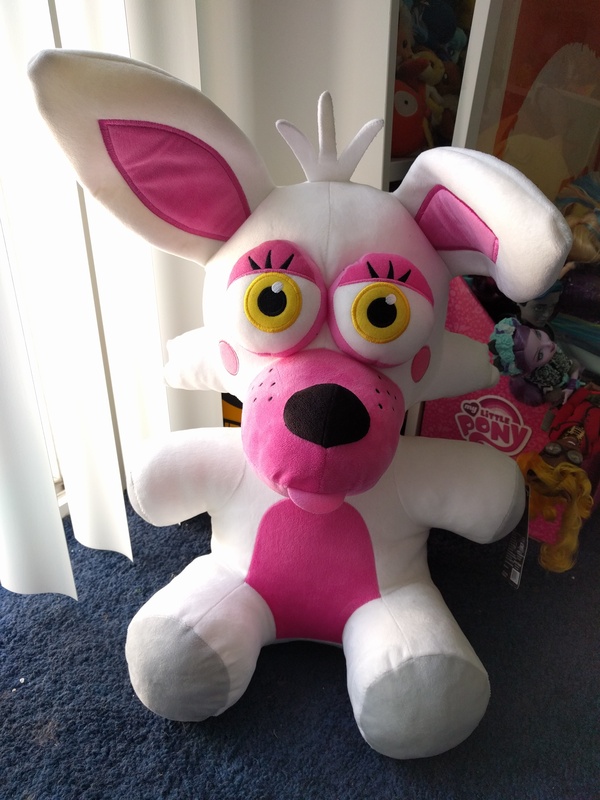 Reminder: this is a 22" plush. The largest of the three sizes available. There are only two other 22" which are Freddy and Foxy found at GameStop during Black Friday. The Sister's Location Plush were revealed earlier today. with Exotic Butters as the exclusive. Did they announce when the hot topic butter will be released?